The viscosupplementation space in the Middle East and Africa, which includes the five major markets of Egypt, Israel, Saudi Arabia, South Africa, and the United Arab Emirates, is set to grow from $23.3 million in 2016 to around $37 million by 2023, representing a compound annual growth rate (CAGR) of 4.9%, according to GlobalData, a recognized leader in providing business information and analytics. 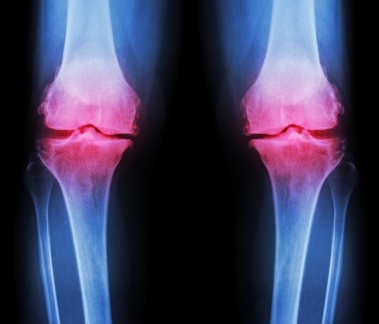 The company’s latest report states that key drivers of the market include the rising prevalence of osteoarthritis due to increasing aging and obese populations, the evolving multimodal treatment paradigm for osteoarthritis, and patients seeking to delay knee replacement surgery in an effort to maintain an active lifestyle. Jennifer Ryan, Healthcare Analyst for GlobalData, explains: “Growth in the primary knee replacement market is likely to slow as patients increasingly seek conservative pain management options. Although these non-surgical treatments typically last only a few months, many patients willingly accept the durability tradeoff to avoid the cost and downtime associated with surgery. The viscosupplementation market is highly fragmented, with key players varying by region and country. In the Middle East and Africa, Sanofi, Ferring Pharmaceuticals, Anika Therapeutics, and Fidia Farmaceutici will dominate the field. Unlike most orthopedic device markets, the viscosupplementation space is largely populated by pharmaceutical companies. Although many companies maintain a direct presence in the markets they sell to, some have co-ordinated marketing and distribution partnerships with major orthopedic players in an effort to leverage geographical experience and existing relationship with surgeons. South Africa represented the largest portion of the market in 2016, holding almost 65% of the regional revenue, and is expected to maintain this dominance through the forecast period. GlobalData also expects South Africa to be the fastest-growing market to 2023, at a CAGR of 5.3%, while the slowest growth will be observed in the UAE at a CAGR of 3.2%. – Information based on GlobalData’s report: MediPoint: Viscosupplementation – Middle East and Africa Analysis and Market Forecasts.